So much to communicate. So much to write. But what if you don’t even know how to get started. Do you have to blog if you hate writing? Do you have to do your own newsletter? What are your options? When do you need to write a resume versus a CV? What about video? What the heck is a pitch? While this book is short there’s plenty of good information on when you need to utilize each of these types of writing and things to think about before you start. This is not a how to write book. There are plenty of those. This is a useful little book for how and when to utilize certain types of writing. There’s even a section on social media. 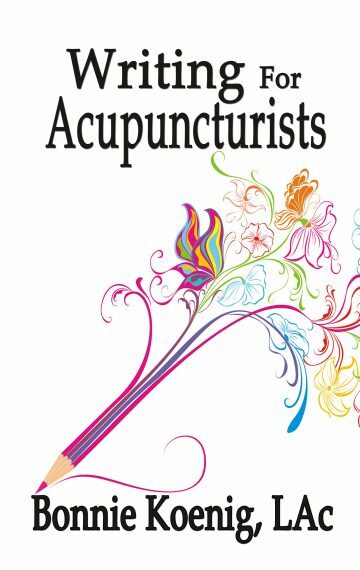 Bonnie Koenig, LAc has been a licensed acupuncturist since 1999. She’s worked as a blogger, freelancer, and currently makes her living writing full time.